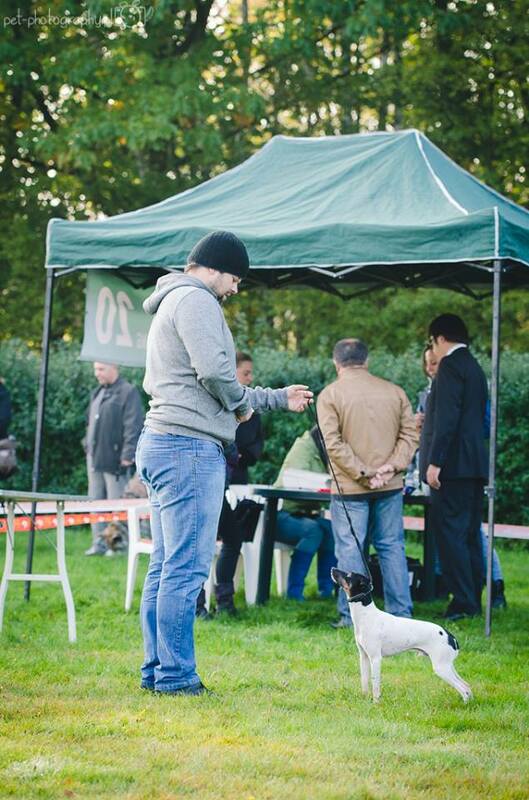 On October 9th I had pleasure to organize in cooperation with Zabrze Branch of the Polish Kennel Club the 3rd Speciality Show for Japanese Breeds. Our judge was expert from Japan – Sei-ichiro Ishimaru. I was the one who had to be Tsubasa’s handler and it was quite big difficulty for me to be the handler and organizer at the same time. It was not the best day for Tsubasa. Unfortunately it was cold that day and the ground was soaking wet. The judge liked the Tsubasa in the ring and gave him BOB. Due to the fact that I was organizing the show we made only one round without judging in honor ring. It was good training for us before next shows.